make an owl, be a part of the next Terrible Comfort show! I’m almost back up ad running on the blog, there’s been major life changes and it’s taken me a while to get organised again… But we’re working on a new puppet show for Halloween this year and we’re doing a call out for handmade owls… Read below! Come one, come all… Terrible Comfort is working on a puppet show for Halloween this year called Owl in Spotlight (How Dort Taught The House to Behave). It’s at the Carlton Courthouse, which is an old courthouse that’s been converted into a theatre but still retains all of it’s period features and multiple doors for Halloween this year! The storyline is eight year old Dort and her family have finally moved into their new home but the house is not too happy about it. In fact, it wants them gone and does everything in its power to scare them away. Hideous ghouls and nightmarish monsters emerge from the houses dark shadows but they haven’t reckoned with Dort. A fully trained monstronaut, Dort isn’t having any nonsense from the house and, along with her pet bunny Chuck Norris, she sets out to investigate and teach the house some manners. Owl in Spotlight (How Dort Taught The House to Behave), uses hand and finger puppetry, diorama, digital sound design and a walking tour in a spooky back stage exploration of the theatres. Designed as a Halloween event, How Dort Taught the House to Behave is appropriate for all ages and encourages the child in us all to find the courage to reason with our fears. To help with the ambiance, we want owls scattered everywhere throughout the venue. This is where you come in! Most of the sofites we’re making are around 20cms tall, so our preferences for owls would be around 10cm to 20cmsish. The bigger they get, the further away from the action they’ll have to be positioned to keep everything in perspective. The individual owls wont have credits next to them, but you will be credited in the program. 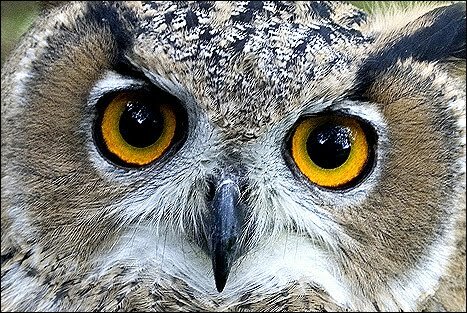 People who contribute owls’ll get a free ticket to the show, if you can manage a couple of owls you get double passes. We’re happy to give them back at the end, but we’d love them as donations to Terrible Comfort. We’re hoping to tour our shows around the place and Dort will be one in our repertoire. We happy for any kind of owl, how ever you want it to look, whatever material you want to make it out of and whatever position you want it to be in (flying, sitting, standing, other…) We need the owls by about the end of September. To avoid theft, we encourage you to add a little material loop to the back of your owl, and we’ll then screw/sew the little guys down and maybe even put little bells on them. YAY! Please let us know if you’re interested in participating in Owl in Spotlight. and do feel free to forward this to anyone you know who might be interested. Terrible Comfort. We make our own fun!